Professional in approach and uncompromising in discipline, she ensures that the decorum is maintained in a creative place that has people with free flowing minds and an attitude to match. Heading the administration, HR and accounts responsibilities, she is a boss lady who does not spare even the big boss when it comes to keeping things in order. A Cola addict, she is a guzzler of Thums up. Unfortunately or fortunately, the sweetness of cola has not yet reached her tongue when it is comes to managing her work. On a personal level, she is a sweet lady with a youthful disposition. A fantastic cook, she regularly is persuaded by the team to bring in tasty Gujarati delicacies. 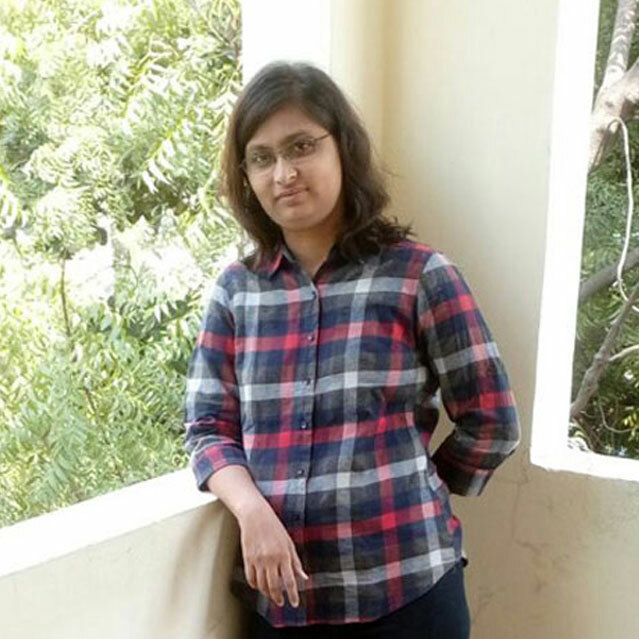 Her work experience in leading corporates is behind that discipline which is a backbone of Threedot Designs.